Adam Brace’s Stovepipe, about the `reconstruction’ of Iraq after the war, was one of the highlights of 2009. Brace, a former journalist, wove a compelling picture of characters drawn to `theatres’ of war, the dirt, the dust and the human mess of it all. I loved Michael Longhurst’s promenade production, too, and his subsequent work with Nick Payne’s Constellations, Linda and Remembrance Day all at the Royal Court. So it gives me no pleasure to report that their latest venture together, They Drink It In The Congo left me puzzled and adrift. 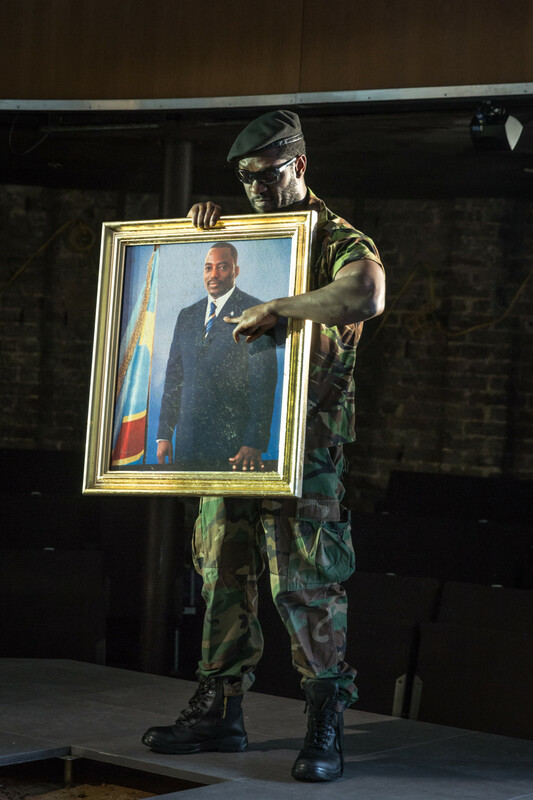 Any playwright who delves into the darkest heart of African politics is setting themselves a challenge. And Brace is taking on what he calls `the deadliest conflict since World War II (though Columbia’s battle with the Farc rebels might run them a close second). But be that as it may, Brace knows his stuff – perhaps too much so. They Drink It In The Congo is peppered with information about Congo’s traumatic colonial and recent past and the West’s nefarious interference because of its rich mineral resources. It’s a typical story of Western involvement touched on from a different angle by Lorraine Hansberry in Les Blancs, revived so magnificently this year. Brace’s approach is as broad as Hansberry’s but his decision to base it in London around Congolese exiles poses major problems, not least in Michael Longhurst’s swirling in-the-round production that works against nuance and detailed argument. 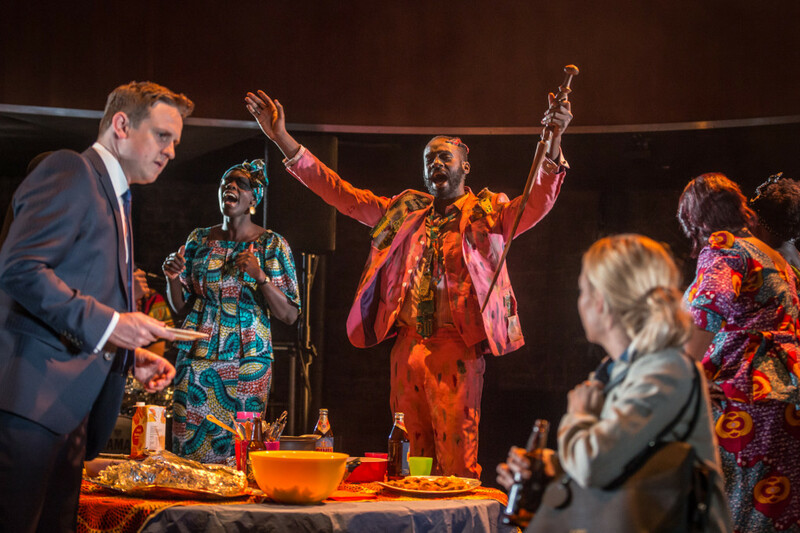 His heroine – Stef (a battling Fiona Button) – too is a strange one, a white westerner endeavouring to stage a festival in London to celebrate the Congo through the arts with motives that remain unclear other than, from occasional flashbacks, feelings of guilt. Brace certainly captures the mixture of opposing forces standing in Stef’s way. But she remains an odd choice with the portrayals of the Congolese shown as warring, `ethnically’ colourful or victims, with the exception of the commanding Anna-Maria Nabirye (from the Les Blancs company) as Stef’s Congolese colleague, Anne-Marie. Longhurst’s production too walks a queasy line between fantasy, irony and realism. By the end, I was saddened by a brave venture sunk by ambition. This entry was posted in 2016, Reviews and tagged Adam Brace, Almeida Theatre, colonial legacies, computer parts, Congo wars, Les Blancs, Lorraine Hansberry, Michael Longhurst, mineral resources and the West on August 27, 2016 by Carole Woddis.